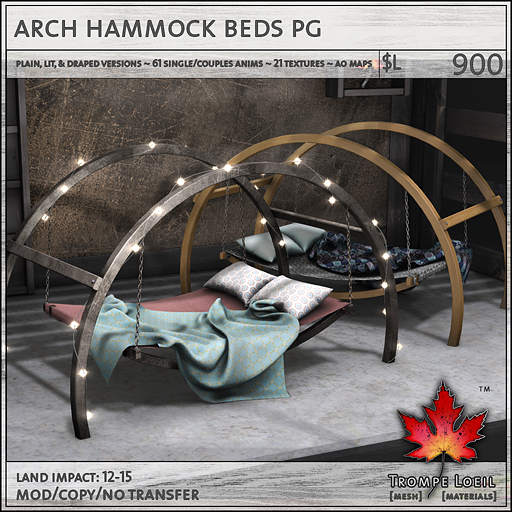 Make a fun modern statement – clean lines, raw materials, colorful prints – with our new Arch Hammock Bed and matching accessories for your stylish spring bedroom, only at FaMESHed! The Arch Hammock Bed features included finishes of metal and wood, with a hanging hammock and artfully-tossed pillows and blanket, all with 21 texture options available via menu. We’ve included plain, stringlight-lit and draped models too! Your choice of PG (61 singles/couples animations) or Adult (91 singles/couples animations) maturities available. Plus, we’ve included the AO Maps for the frame and all fabrics, for free! Create your own custom look with your favorite image editor! 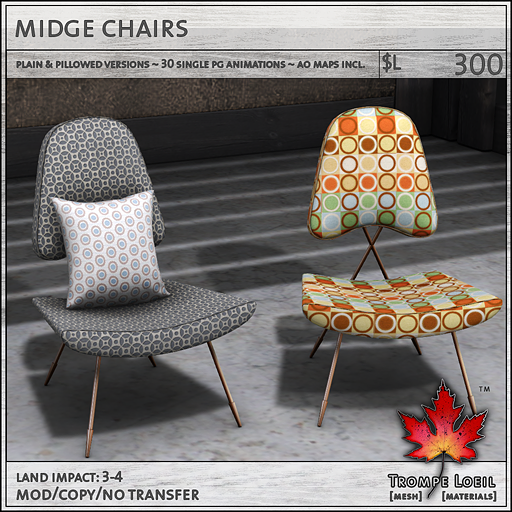 The Midge Chair is a soft-form throwback to a hipper era. Looks great in any room, especially with our included 21 texture options via menu for both the chair fabric and the pillow. 30 single PG animations give you lots of style and flexibility. Not enough options? Use the included free AO maps to design your own mod masterpiece! 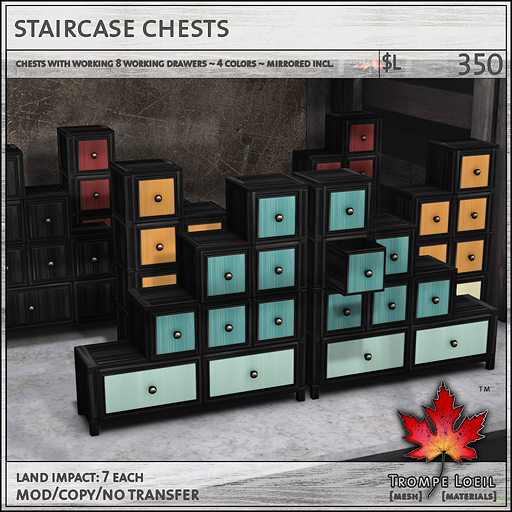 Our Staircase Chests are an asymmetrical statement for any wall – or use the included mirrored versions for each of the 4 included colors to make a unique display for your store or office, or to block out areas of a larger room! Each of the 8 drawers opens and closes on touch, or double-click the frame to close all drawers at once. 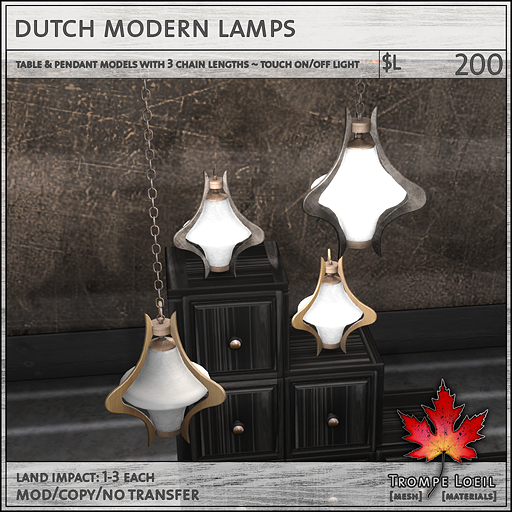 Finally, our Dutch Modern Lamps share the same groovy lines and included wood & metal materials as the Arch Hammock Bed, plus you get tabletop and hanging pendant models (with three chain length variations and easy editing) in the same pack! Try out our on-side display this month exclusively at FaMESHed!